The Fourth District Court of Appeals is deciding whether to uphold a “Stand Your Ground” defense for a Broward Sheriff’s Deputy. On July 31, 2013, Jermaine McBean was shot and killed by Deputy Peter Peraza while walking home from a pawn shop with a recently purchased airsoft rifle. Deputy Peraza claims that he was in fear of his life when he shot and killed McBean. 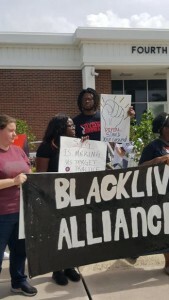 Since that time, numerous organizations, individuals, and his family have been seeking answers for the death of Jermaine McBean. Of specific interest is the ability of a law enforcement officer to use Florida’s contentious “Stand your Ground” law as a defense while on duty, which has shown itself to be an unprecedented use of the law. 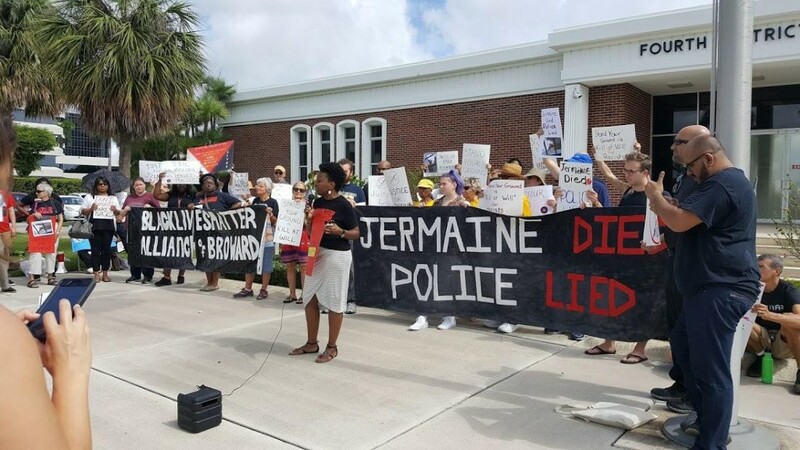 Community organizers with the Black Lives Matter Alliance Broward have argued that “Stand Your Ground” is “ambiguous, racist, and sexist.” Organizer, Tifanny Burks, discussed some of the racist implications of the law as outlined in the American Bar Association’s National Task Force on Stand Your Ground Laws: Report and Recommendations. This report, released in 2015, shows that a white shooter who kills a black victim is 350% more likely to be found justified in the use of lethal force than if the same shooter killed a white victim. 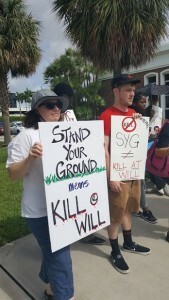 The report also references the Tampa Bay Times investigative report that found in Florida when Stand Your Ground is used as a defense, defendants are 73% more likely to achieve a dismissal if the victim was black, and 59% more likely to achieve a dismissal if the victim was white. If the ruling is overturned, Deputy Peter Peraza, would face a manslaughter charge and will be tried by a jury.